© 2012 by The York Daily Record/Sunday News. 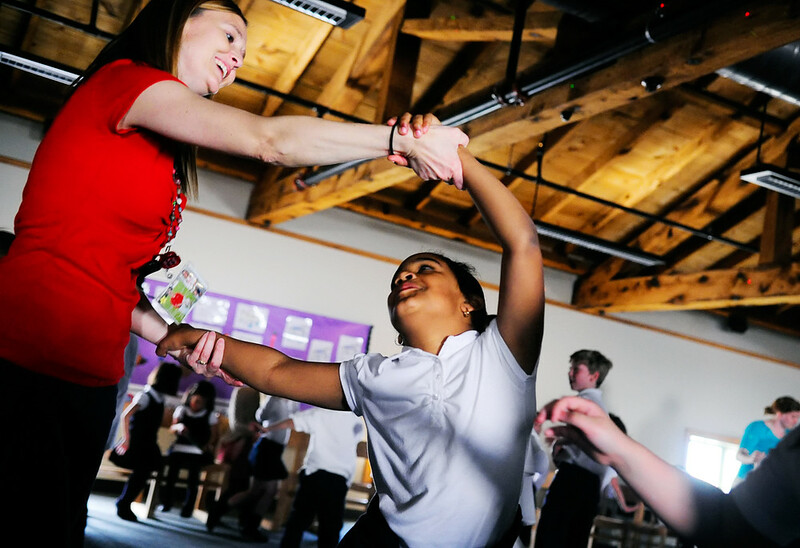 York Academy Regional Charter School kindergarten teacher Tracy Zeiders dances with second-grade student Sophia Sy during a dance party rewarding students with good behavior on Thursday, April 5, 2012. York Academy Regional Charter School students who acted by the school’s “positive behavior” standards earned a dance party in the school’s top floor, with music provided by a parent who is a DJ. I made these pictures a while ago, but I still remember watching the kids as they entered the school’s media room, timid and confused at first… but then they saw the lights and heard the music and started having fun. © 2012 by The York Daily Record/Sunday News. York Academy Regional Charter School first-grade student Tawfiz Bolyard, left, sticks his tongue out while dancing near the DJ booth with fellow first-grade student Paris Martin and kindergarten student Amari Dickson on Thursday, April 5, 2012. York Academy Regional Charter School students who acted by the school’s “positive behavior” standards earned a dance party in the school’s top floor, with music provided by a parent who is a DJ. And they got really into it. Really into it. © 2012 by The York Daily Record/Sunday News. 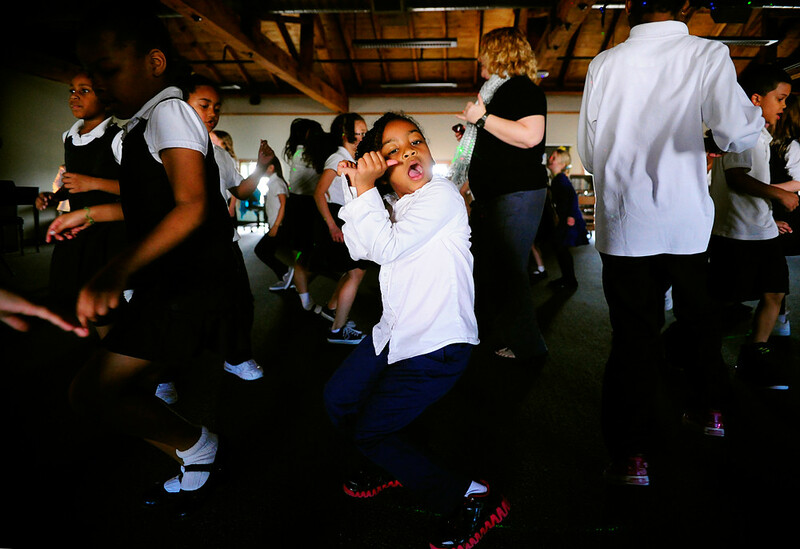 Flanked by other classmates, York Academy Regional Charter School first-grade student Amari Dickson shows her moves during a dance party at the school on Thursday, April 5, 2012. 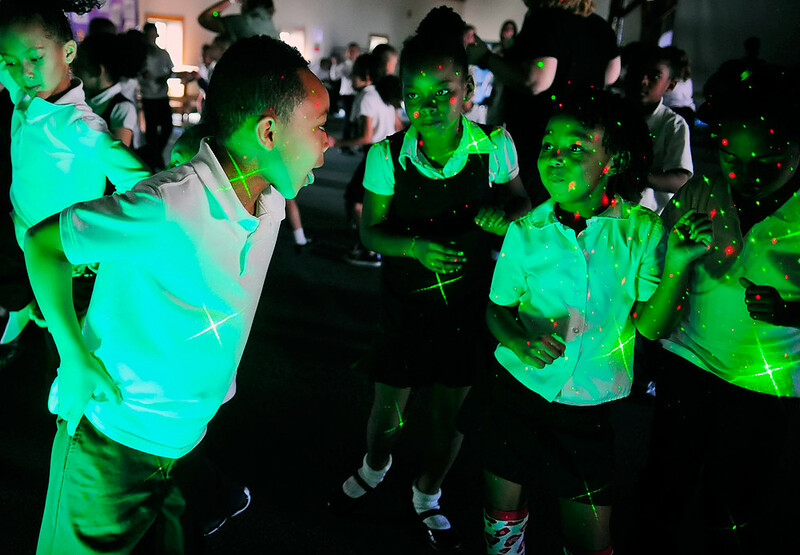 York Academy Regional Charter School students who acted by the school’s “positive behavior” standards earned a dance party in the school’s top floor, with music provided by a parent who is a DJ.